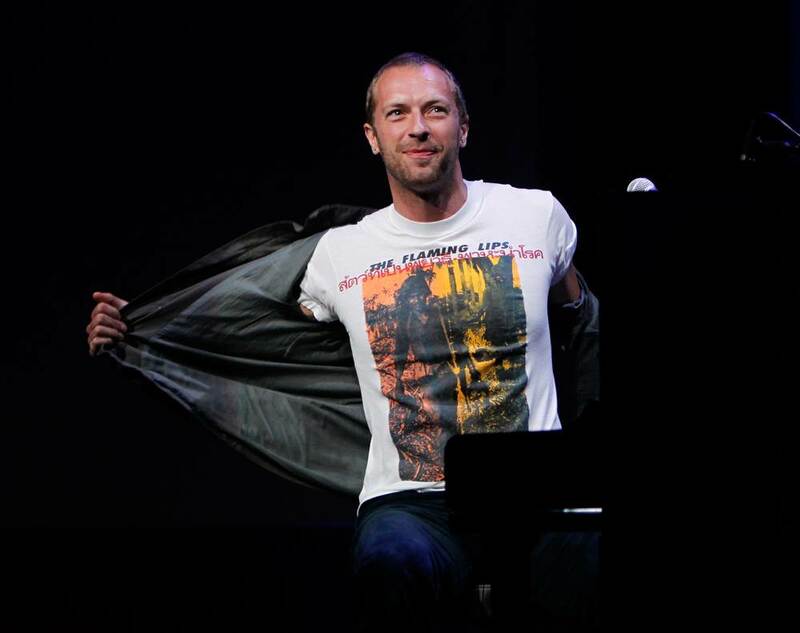 Here’s some cool photos Chris Martin of Coldplay and Sean Lennon both wearing The Flaming Lips tee shirts. Here’s Martin in concert sporting his Flaming Lips shirt. What Wine Does Eddie Vedder Drink On Stage??? Oasis' "She's Electric" Lyric Taken From The Children's Show "You And Me"
Why Was "CHAKA" Tagged On Dave Grohl's Drums in the Nirvana "Smells Like Teen Spirit" Video?